Comfort doesn’t have to be expensive, but it’s something that definitely needs to be prioritized. After all, at the end of a long hard day all you really want to do is lie down on your bed and have a good night’s sleep. To achieve this, you need to have a mattress that will suit your needs and fit your budget at the same time. 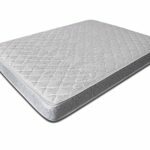 This review of the Home Life Comfort Sleep 6-Inch Mattress will examine the different features of this mattress and give you an idea of what to expect in case this is what you are considering. What makes this mattress unique? The biggest selling point of the Home Life Comfort Sleep 6-Inch mattress is that it gives you unbelievable comfort at such an affordable price. The comfort stems from high grade foam and coils that make up the mattress, but it won’t really put a hole in your pocket because you can get the twin size for as low as $79.64 in Amazon. 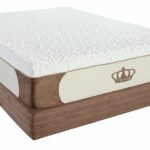 The price increases as you also increase size to Full, Queen, and King, but even then you still pay just a little more than $160, which is something you can’t get from other mattresses. At 31.5 pounds, this 6-inch mattress is the perfect size for your twin bed frame (78.7 x 35.4 x 6.3 inches), fitting snugly and leaving no room for the corners to move around. If your bed frame is bigger than a twin, you can opt for the larger Full (78.7 x 55.1 x 6.3 inches), Queen (78.7 x 63 x 6.3 inches), or even King options. The support comes from the 480 high-grade 15-gauge pocket coils made from tempered metal and individually encased. This feature allows the mattress to give you full weight support (and equal weight distribution). 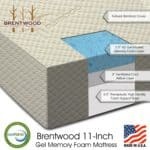 This means that the mattress gives you body the support it needs, relieving the stress from your back, necks, and hips. This also minimizes sleep disturbances caused by motion, ensuring that you get a good night’s sleep and that you don’t wake up through the night. The coils give the support, but the polyester layering and high-grade foam give the comfort. The polyester layering between the coils and the cover ensure that your body is well supported and comfortable at the same time. It also gives the mattress the right balance between firmness and comfort, and this is important in picking the right type of mattress. 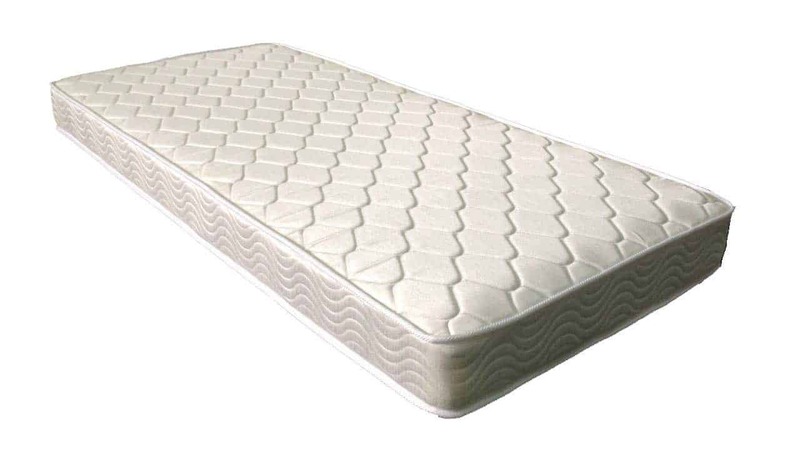 A mattress of this quality is suitable for anyone who’s looking for a great bed to sleep on. It’s particularly suitable for those who want a comfortable mattress that comes at a not-so-expensive price. It’s also a product that’s good for those who have trouble sleeping at night, whether because they (or the person sleeping beside them) move around when they sleep or because the current mattress that they have doesn’t give their body the support that it needs. The built-in vertebrae support takes care of stabilizing motion, so you can sleep through the night without getting disturbed. 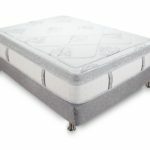 Aside from taking a look at all the features, pros, and cons, it would also be good to take a look at the experience of those who have actually tried this mattress for themselves. After all, it all boils down to customer experience and how the mattress actually fares in the bedroom. Based on the customer reviews in Amazon, this product is rated 4.1. out of 5 stars, which is considerably good. Many customers are delighted with the product and finds it to be one of the best investments they’ve done, at a cost that’s not even that high. The fact that it’s vacuum-sealed gives mixed reactions, with some being so delighted because it means they can carry it to the bedroom without so much hassle and just allow it to expand there. The fact that it literally expands (like a balloon) before your eyes is also something that many find surprisingly enjoyable. Some however have expressed a bit of initial confusion at the packaging, although this quickly wears off. Another common review is that customers find this mattress very comfortable, despite the fact that it’s just 6 inches in thickness. Customers also agree that the mattress truly doesn’t squeak, and this is something that has delighted many. People really want to avoid mattresses that squeak, and discovering that this doesn’t squeak at all really satisfies customers. 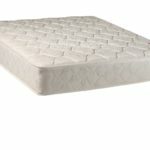 In addition to the comfort, users have commented that the design of the mattress (with the coils and foam layering) is something that can really give them support, as many of them have experienced firsthand. 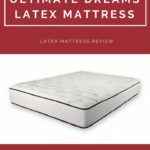 Some of them have even commented that they’ve never slept as soundly before, and this is the best thing you can ask for when it comes to any mattress. 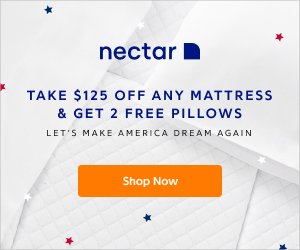 When deciding on whether or not this mattress suits you, you already have all the pros and cons to consider, as well as a rundown on what other people are saying, particularly those who have actually tried the Home Life Comfort Sleep 6-Inch Mattress themselves. All in all, this mattress really gives value for money because it gives you such high quality and comfort without making you pay too much. It gives you access to a good night’s sleep and gives your back adequate support, so it’s really something worth considering. All its features as outlined in this review add to the quality and comfort that this mattress offers, so if you think that this is what you’re looking for to complete your bedroom, then you can easily make this purchase online and just wait for the delivery.